Murder by Gaslight: Transitory Frenzy. 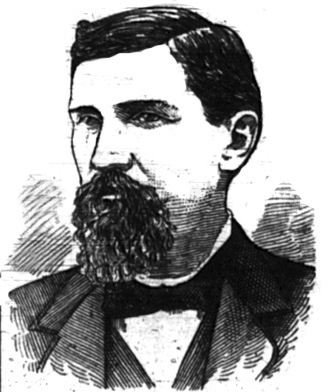 Charles E. Henry came to Denver, Colorado, determined to live the fast life. The ambitious nineteen-year-old left his home in London, Ontario, in 1887 after winning $5,000 in the Louisiana lottery. He planned to use his winnings as seed money to begin a career as a professional gambler and to finance a life of luxury as he did so. Henry had some initial success in the arcades of Denver, winning, on average, $30 a day for his first two weeks in town, but he spent more than that on the girls at the Palace Theater. 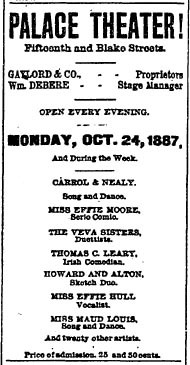 The show at the Palace featured a variety company with a number of attractive young actresses and female vocalist. The theater required the women, when not on stage, to entertain individual customers, luring them to private boxes in the theater balcony and enticing them to buy drinks, for which the women received kickbacks. Charles Henry bought drinks for most of the cast before focusing his attentions on Miss Effie Moore, an actress with a round face and long curls of shiny black hair, who did a solo seriocomic performance in the show. Effie Moore was also nineteen-years-old. Born Effie Thomas in Kansas City, she met and married William Carroll in 1886, who convinced her to join his vaudeville company and gave her the stage name Effie Moore. Smitten with the young actress, Charles Henry would come to the theater before the show and stay until long after it ended, drinking with Effie Moore in a private box. After nearly two weeks of this, he asked Effie to marry him, and she agreed. The company would be leaving for Butte, Montana in a few days; she probably thought she could deceive him until then. On Sunday, November 13, Charles Henry learned that his true love was already married to William Carroll. When he confronted her that night, Effie denied that she was married to Carroll and once again promised that she would marry Henry. The following day was a bad one for Henry, he lost $400 at roulette, and he heard from another source that Effie was already married. He began to believe that he was being duped. That night he confronted her again in the privacy of a theater box. Within twenty minutes, the balcony door tender heard two shots fired in quick succession. He opened the door of box B to find Charles Henry standing over the prostrate figure of Effie Moore, the still smoking revolver in his hand. Henry fired two more shots hitting no one. Breaking down in tears, Henry said to the door tender, “Save me. Take care of me. Send for the police and put me in charge.” The police were summoned and Charles Henry, crying like a child, was taken to the police station. Maud Louis, Effie’s friend and fellow actress, carried the bleeding body to the green room while other theater people sent for a doctor. He arrived too late. Effie Moore, still in the thick powder and paint of her stage makeup, lay dead on the floor, shot twice in the chest. 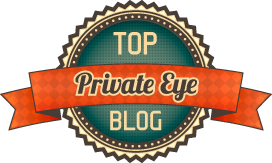 With plenty of money left from his lottery winnings, Henry hired prominent criminal attorney Edgar Caypless, who arranged bail and put together a creative defense. 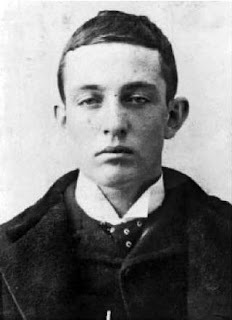 When the trial began in February 1888, he entered a plea of not guilty by reason of “Transitory Frenzy” — characterized by several newspapers as the “insanity dodge.” Caypless portrayed Charles Henry as an innocent boy who had been “captured by a siren” who drove him mad. To everyone’s surprise, the jury bought it and returned a verdict of not guilty. Four years later, an “abandoned woman” named Irene Russell was found dead on the banks of the Trinity River, near Dallas Texas, with a bullet through her heart and a pistol by her side. The coroner’s jury ruled the death a suicide, but detective M. W. Kirby was not convinced. Through Irene Russell’s neighbors, he learned that Charles E. Henry—still a professional gambler, now living in Dallas—had been her lover and that the pistol found near the body had been loaned to Henry the night of her death. Arrested on suspicion, Henry admitted that he knew the girl but was not her lover. He said she had threatened suicide out of remorse for the life she was leading. Detective Kirby intercepted a letter from Henry to Irene Russell’s sister in Nashville, in which he stated that he was Irene’s lover. He said that he believed himself to be innocent of Irene’s murder, but if guilty, wanted to be punished for it. Kirby believed that Henry was planning another insanity defense. Whatever the plea, in June 1892 Charles Henry persuaded another jury to acquit him. "A Girl's Murder Traced to a Gambler." The TimesPicayune 19 Apr 1892. "Declared Not Guilty." The Galveston Daily News 19 Jun 1892. "Effie Moore's History Here." Kansas City Times 17 Nov 1887. "Henry's Last Crime." Denver Rocky Mountain News 23 Apr 1892. "Killed in a Box." 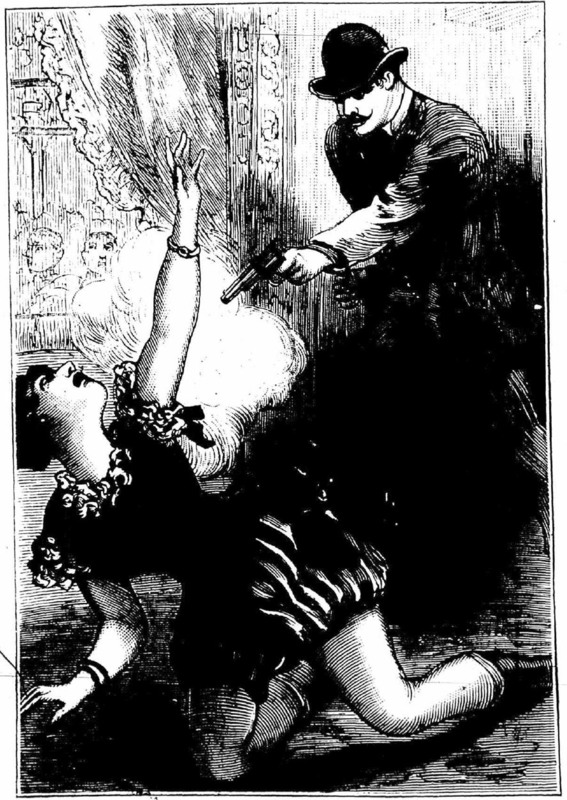 National Police Gazette 3 Dec 1887. "Miss Moore's Murderer." Denver Rocky Mountain News 15 Nov 1887. "Murdered in a Theatre Box." Columbus Daily Enquirer 18 Nov 1887. O'Hara, Sheila. Wicked Denver: Mile-High Misdeeds and Malfeasance. Charleston: Arcadia Publishing, 2012. "'Transitory Frenzy.'" Daily Inter Ocean 27 Feb 1888. Interesting story. The lottery winner murderer, never heard. Mostly they are depicted as all around decent as it was in thelotter review I came across recently. But money and women can change anyone! His eyes looked bored and sleepy, no remorse.